Ben Carson commencement speech: The Bible's Joseph may have built Egypt's pyramids. Republican presidential candidate Ben Carson told graduates during a commencement address in the late ’90s that he believed the pyramids in Egypt were built by the biblical figure Joseph to store grain, and not, as most archeologists contend, as tombs for pharaohs. 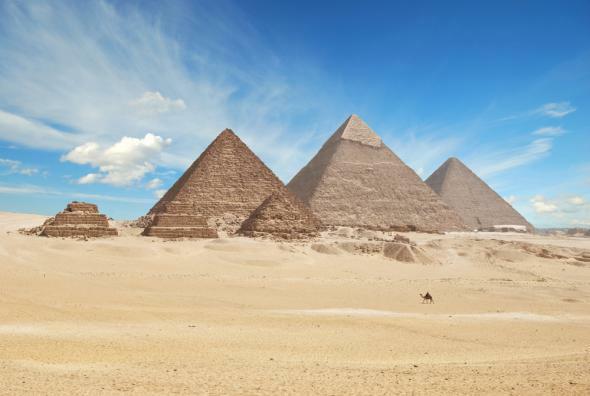 … “My own personal theory is that Joseph built the pyramids to store grain,” Carson said. The Old Testament Joseph is said to have been sold into slavery in Egypt by his brothers before rising to prominence after interpreting one of the pharaoh’s dreams (a dream involving grain and famine). “The likelihood of Hitler being able to accomplish his goals” during the Holocaust would’ve been “greatly diminished” if the Nazis had not previously instituted gun control. Darwin’s theory of evolution “was something that was encouraged by the adversary,” aka the devil. Prison can make people gay. Your health can be improved by the “glyconutrients” in vitamins sold by a multilevel marketing company called Mannatech. Gah. Gonna be a long day.